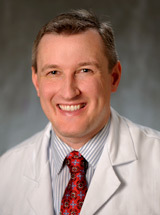 Dr. Mangan is employed by Penn Medicine. Ganetsky A, Frey NV, Hexner EO, Loren AW, Gill SI, Luger SM, Mangan JK, Martin ME, Babushok DV, Drobyski WR, Smith J, Timlin C, Freyer CW, Stadtmauer EA, and Porter DL. : Tocilizumab for severe steroid-refractory acute graft-versus-host-disease of the lower gastrointestinal tract. Bone Marrow Transplantation 54 (2): 212-217,2019. Freyer CW and Mangan JK: Dose-related periorbital edema following sorafenib in a patient with acute myeloid leukemia. Journal of Oncology Pharmacy Practice : 2018. Ganetsky A, Han JH, Hughes ME, Babushok DV, Frey NV, Gill SI, Hexner EO, Loren AW, Luger SM, Mangan JK, Martin ME, Smith J, Freyer CW, Gilmar C, Schuster M, Stadtmauer EA, Porter DL: Oral vancomycin prophylaxis is highly effective in preventing Clostridium difficile infection in hematpoietic stem cell transplant recipients. Clinical Infectious Dis : Epub ahead of print,2018. Kasner MT, Mick R, Jeschke GR, Carabasi M, Filicko-O'Hara J, Flomenberg N, Frey NV, Hexner EO, Luger SM, Loren AW, Mangan JK, Wagner JL, Weiss M, Carroll M, Perl AE. 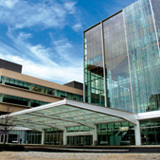 : Sirolimus enhances remission induction in patients with high risk acute myeloid leukemia and mTORC1 target inhibition. Invest New Drugs 36 (4): 657-666,2018. Freyer CW, Ganetsky A, Hughes ME, Krause TM, Timlin C, Frey NV, Hexner EO, Loren AW, Mangan JK, Martin ME, McCurdy SR, Perl AE, Porter DL, Luger S.: Venous thromboembolism following pegaspargase in adults receiving antithrombin supplementation: A single center characterization of risk factors and an assessment of supplementation practice. American Society of Hematology Annual Meeting, San Diego, CA (4023): 2018. McMahon CM, Nelson N, Ganetsky A, Mangan JK, Frey NV, Perl AE, Martin ME, McCurdy SR, Loren AW, Hexner EO, Bagg A, Morrissette JJD, Luger S.: Limited FISH testing for MDS-defining cytogenetic abnormalities rapidly identifies patients with newly diagnosed AML Eligible for CPX-351. American Society of Hematology Annual Meeting, San Diego, CA (4785): 2018. Manning BM, Sussman RT, Deihimi S, Frey NV, Hexner EO, Loren AW, Luger S, Mangan JK, Martin ME, McCurdy SR, Morrissette JJD, Perl AE, Stadtmauer EA, Porter DL, Gill SI. : Outcomes of allogeneic stem sell transplantation for AML and MDS based on pre-transplant MRD status by next-generation sequencing. American Society of Hematology Annual Meeting, San Diego, CA (2134): 2018. Hogan JJ, Loren AW, Denker MG, Mangan JK: Edema with hypoalbuminemia as a rare manifestation of chronic graft versus host disease after allogeneic hematopoietic cell transplant. Leukemia and Lymphoma 58 (8): 2008-2010,2017. Mesa RA, Miller CB, Thyne M, Mangan J, Goldberger S, Fazal S, Ma X, Wilson W, Paranagama DC, Dubinski DG, Naim A, Parasuraman S, Boyle J, Mascarenhas JO: Differences in treatment goals and perception of symptom burden between patients with myeloproliferative neoplasms (MPNs) and hematologists/oncologists in the United States: Findings from the MPN Landmark Survey. Cancer 123 (3): 449-458,2017. Yam C, Crisalli L, Luger SM, Loren AW, Hexner EO, Frey NV, Mangan JK, Gao A, Stadtmauer EA, Porter DL, Reshef R.: Unrelated donors are associated with improved relapse-free survival compared to related donors in patients with myelodysplastic syndrome undergoing reduced intensity allogeneic stem cell transplantation. American Journal of Hematology 91 (9): 883-887,2016.